Cloud-based Backups of your WordPress website is the cornerstone of disaster recovery and peace of mind. If you don’t have a backup, the potential for permanently losing your entire website is very real. Keeping all your software components up to date is the only way to secure your site and avoid lagging behind over a long period of time which would result in huge costs of redevelopment. Our proactive approach to WordPress Security combines Firewall, 24/7 Security Monitoring and fixing potential threats before they become a problem. All sites include a fully licensed Security Plugin. We are the first to know if a site goes down. We receive instant notification and can start to fix the problem so that by the time others notice a problem, your site may already be up and running again. If you’re offering products online, a down site means lost sales. Plain and simple. Basic Functionality of the WordPress Dashboard, and many other important areas of the Websites’ Back End. We want you better equipped to manage all the tasks at hand efficiently. We will send you a regular Report of the Maintenance Tasks we have performed on your Websites. Backups, Updates, Security Measures like blocking malicious users from hacking your site, SEO Reporting and more. The reports include all update actions made to WordPress core, theme & plugins within a certain timeframe. People can be malicious and computers can be cranky. Any website can inexplicably crash or be infected by a virus. What do you do when your site goes offline? You rely on the most recent working WordPress backup of your site from before the problem started! This is the frozen-in-time version of your site before things went sideways and it is here to save the day. What is included in the Backups? A WebSite is a collection of Software Components that run on a WebServer, much like your own PC. Updating WordPress is an essential part of a tight security. Since the worldwide outbreak of the WannaCry Ransomware (Virus), everybody has learnt how important it is to keep all systems updated and loopholes closed. Updates are difficult to fit into a predefined schedule, especially WordPress core updates. WordPress core updates have happened infrequently in the past. However, they have been getting more and more frequent in the past couple of years, so it is very important to designate one day out of the month to check for and apply WordPress updates to all of your sites. * Note that some mayor Updates of Themes and Plugins may cause conflict and result in the need of fixing or redesigning the website itself, especially if Plugin developers do not adhere to WordPress development standards. Should such problems occur, you can decide to hire us to fix those issues or revert back to the latest functional standard. You will get a fully licensed subscription of iThemes Security Pro with your website for a value of $80 / year for the duration of your Care Plan. Keeping all your software components up to date is the only way to secure your site and avoid accumulating back lag over a long period of time which results in huge costs of redevelopment. By updating take advantage of new features, increased security, enhanced interfaces, faster load times and more. Specifically, our care plans make sure your WordPress core, WordPress Plugins, Theme Frameworks / WordPress Themes are kept current with the latest stable version. Close loopholes for known security issues by updating your site regularly and leave hackers to work with other people’s web sites. Today’s reliable web hosts have very little downtime, therefore it is all the more important to keep an eye on on the site by an automated process so we can be informed right away and react, before more damage is done. *Uptime is a measure of the time a website, typically hosted on a web server, has been working and is available. 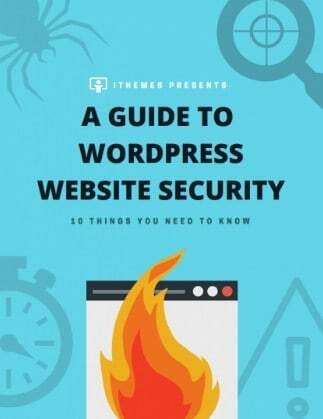 And by a few simple WordPress security best practices, you can greatly reduce your vulnerability to attack. What's the minimum contract time? No annual contracts, your subscription will be automatically renewed month by month. Cancel at least 5 days before the end of the month to stop your renewal. Our clients stay with us because they love our customer service, technical understanding of WordPress and get it done attitude! Yes, please let us know by the 25th of the previous month if you would like to switch plans. What information of my site will I have to provide? You may either create a new account or you can provide us with your admin account details and we will create our own admin user. We create our own users for accessing the system, so that we don’t have conflicts with password resets and also so that its easy to remove those users should our services no longer be needed. Lastly, we take security very seriously here and take extreme care with our clients confidential information. WP access points use two factor authentication for access in the Premium and Professional Care Plans. My website was hacked, can I still sign up? Yes, we offer website restores and malware clean ups for our maintenance plan clients and we extend this offer to new sign ups for a startup fee of $250. A minimum six month subscription is required to qualify for this cleanup offer. If your site is very large and/or the damage that was done is extensive, we will reserve the right to provide you with a quote for a higher charge. What is included with SEO Monitoring? 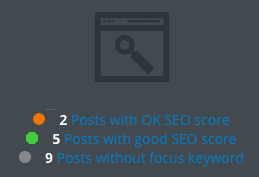 In each monthly Report in the WordPress Professional Care Plan you will receive a list with your Yoast SEO Score for pages and posts with a link that takes you to those articles for you to inspect and make corrections if desired. The second part lists in detail each post and page with SEO Score and SEO Readability. As part of the Professional Care Plan we will work for approximately 1 hour each month to help you improve those SEO scores, should you not have any other small jobs for us that month. What do the SEO Scores mean? SEO Score Good, OK or Bad rating assigned by the Yoast plugin according to their SEO analysis of your content. This score is based on the presence of your focus keyword in the title of the page, a heading, the URL, the content of the article, the meta description and the alt tag of the images. SEO Readability Good, OK or Bad rating assigned by the Yoast plugin based on their content analysis (a collection of content checks that analyze the content of your pages and posts). This score is based on sentence length, paragraph length, presence and distribution of subheadings, presence of passive voice, presence of transition words and Flesch reading ease, indicating SEO friendly content. This service is granted through a third party provider with Servers located in Switzerland. *Even though the Business Pro plan allows for hosting of up to 5 domains, the WordPress Care plan is applicable to 1 domain only. Discounts for multiple domain care plans per request. Will you test my site after updates? Due to the complexity of most websites, forms and interactions plus the low price of these plans, it would be impossible for us to test every website after each update. We can offer automated testing as a custom feature and provide a quote on request. A small job refers to any new feature, minor modification or web development task up to 30 minutes in length. Examples are adding a new logo, changing the colour of text in your main menu, swapping an image on a page, correcting some SEO settings on a page, etc. If the job is definitely going to take more than 30 minutes to complete we will quote the amount of time required to finish the job. With the clients permission we will finish the job at our discounted hourly rate of $75/hour. For our quotes we always stick to our quoted time even if we spend more time than quoted. How long does it take to complete a small job? We can not promise a specific time span to complete your job, but we definitely aim to getting that job done as soon as possible, preferably within 48 hours. What is covered in the Email Support? The Email Support is generally limited to questions regarding the areas of your WordPress Care Plan and that are not covered in our FAQ section. Do you provide staging environments? 2. If there is an update that was causing issues to the user experience (that we couldnt fix in less than a few minutes), we’d immediately roll the site back to the latest stable version so that the live site was fully functional again. Then we would do the testing and fixing of whatever the issue was on the staging environment. In this way, the amount of potential downtime is minimal (less than five minutes in most cases). What is included with Google Analytics Monitoring? * The setting up of Google Analytics for your WebSite is included if you pay 6 months of the WordPress Professional Care Plan upfront. You can have your Website hacked and not even know it. This can affect the performance of your site, make it slow, disturb the messaging functionality and you won’t receive messages from web site visitors or worse they’re sent to someone else. If you have malicous code on your website, Google may blacklist your site, which will reduce your visitors to virtually zero. *As the saying goes “Prevention is Better than Cure”: you cannot afford to ignore the risks, you must take care of your WordPress site, either yourself or by a professional agency like SeriousWeb.